Self-care is the cornerstone to your well-being. When you address the energy component of self-care (what I like to call energy-care), you can make a much more positive impact in all areas of your life. 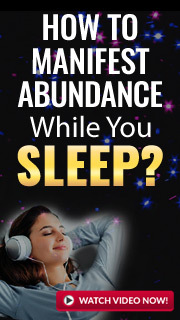 The reason for this is because it is your personal energy frequency (or vibration) that attracts like energy to you; this is the Law of Attraction. Energy-care is a set of practices that help you maintain a higher vibration, making you a match to other high vibrating energy frequencies (like abundance, joy, peace, optimal health etc…). These practices can include spiritual practices, exercise, energy healing, energy protection, rituals, etc… When you are diligent with energy-care, as part of an overall self-care regimen, you will generally feel better and have a better state of energy flow or chi. There will still be times, however, when you might feel lower vibrating, down or in a funk. The reasons for this can vary, but there is no need to remain down if you are willing to take action and make some conscious choices to alter the state of your energy. Energy awareness is an understanding that your vibration is not something you are a victim to, it is something you can shift at will. You manifest your vibration through your choices, so when those choices lead to you feeling off or not so good; it’s time to make different choices to raise your energy vibration, and make them fast! The main purposes of a Spiritual Practice are to connect with spirit and raise your vibration. When you are in a low energy state, getting spiritual can help raise you up. Meditation, yoga, mantras, using mala (or prayer) beads, energy healing, chanting and using healing crystals are all positive ways to shift your energy. For quick results, I highly recommend a guided meditation that focuses on positive energy, many can be found at https://positivelifeaffirmations.net/free-affirmations-mp3. Shifting your energy happens through your 5 physical senses (as well as your intuitive senses). Aromatherapy is a simple way to improve your mood and raise your vibration, because your olfactory senses can reframe your thinking. An oil diffuser works well because it continually puts the scent all around you. Citrus scents, like lemon oil and orange oil, are wonderful for shifting energy; they have almost the same affect as sunshine. Music is a universal language. It can evoke emotions and impact energy in positive ways (if you choose wisely). Singing along to an upbeat, happy, positive song can immediately begin to raise your vibration and release negative energy. Never underestimate the power of driving and singing along to a great song! You know that one person who always can make you smile and laugh? That is the person you want around when feeling low. Spending time with those who make you happy can immediately shift your energy. Schedule some time with this person doing something you enjoy, and you double the positive impact! Gina Sendef is an Author, Angel Intuitive and Reiki Master. She helps people around the globe with guidance, healing & inspiration through her one on one Angel Readings, Angel Reiki healing/teaching and her articles and book, "Truth Works, Divine Life Lessons for Kids of All Ages". Visit www.ginasendef.com for information about her work or facebook for daily guidance.